NERUPPU DA VIDEO SONG ON THE WAY! The massive hit number of Kabali, Neruppu da, has been making its rounds all over the world ever since the album got released. Recently, Lady Kash had crooned her voice for the promo version of this song. Now the latest we hear is that, not just the audio, but also a video of Neruppu da is in the making. This would be an official video song that will be used for promotional purposes by the makers. 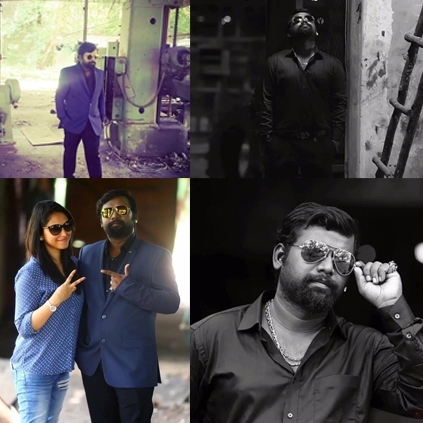 Lyricist and singer Arunraja Kamaraj will be featuring in this video song, where he will be seen in a stylish avatar for the first time sporting the costumes designed by Joy Crizilda. The video song was shot few days back at the Binny Mills. It is also told that this promo video song will release before the theatrical release of Kabali. It can be noted that Santhosh Narayanan's Manidhi song from Iraivi also had an official promo video song before the film's release. TN Box Office: Dhilluku Dhuddu is off to a flying start! Kabali-Censor done; when is the release? What Is The Common Luck Factor Between Theri And Kabali? People looking for online information on Arunraja Kamaraj, Joy Crizilda, Kabali, Neruppu Da will find this news story useful.